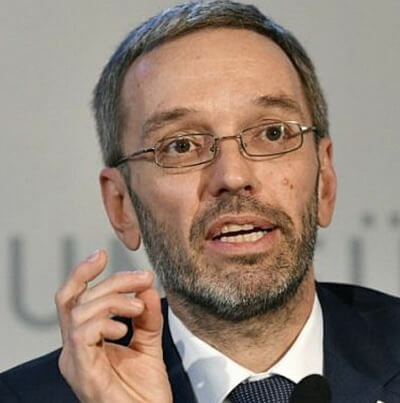 Currently, a “large-scale migration from Turkey to Europe is being prepared,” Kickl (pictured) stated in the letter, which was seen by the Austrian daily Kronen-Zeitung. It is the start of a “new crisis”, the Minister said. “Tens of thousands of migrants” are already in the region, including 60,000 in Greece, another 5,000 in Bosnia-Herzegovina and yet another 5 000 in Serbia. Kickl cited figures from the European Police Authority Europol. In addition, there will be another 5.6 million Syrian refugees in the Middle East, which shows the “clear potential of a new massive migration movement”. 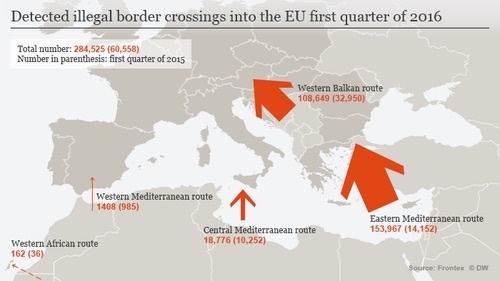 Thousands of migrants are already waiting on Europe’s southeastern doorstep (ER: see map for Eastern Mediterranean and Western Balkans routes), and many more can be expected, according to Kickl. “We all still remember the images of the mass immigration of 2015/2016. It would be irresponsible to twiddle one’s thumb and wait until tens of thousands of migrants are on the border.